Crow’s feet, frown lines and brow furrows soften almost instantly when Neurotoxin (BOTOX® Cosmetic, Dysport®, and XEOMIN®) injections block the nerve impulses that signal selected muscle contractions in the face. BOTOX® Cosmetic, Dysport®, and XEOMIN® are brand names for FDA-approved botulinum toxin suspended in a saline solution. 10-15 minutes. A series of intramuscular injections smooth facial lines. None required, though ice may be applied to the skin before injections to minimize discomfort. Plan to stay at the Cosmetic Surgery Center for about an hour. Temporary stinging, throbbing or burning at injection sites. Restriction of muscle movement begins 2-5 days after the injection. The manufacturer has activity limitation recommendations for the day of treatment. Individual variables influence the longevity of results, usually within a range of 2-6 months. Temporary eyelid drooping, inability to wrinkle forehead. 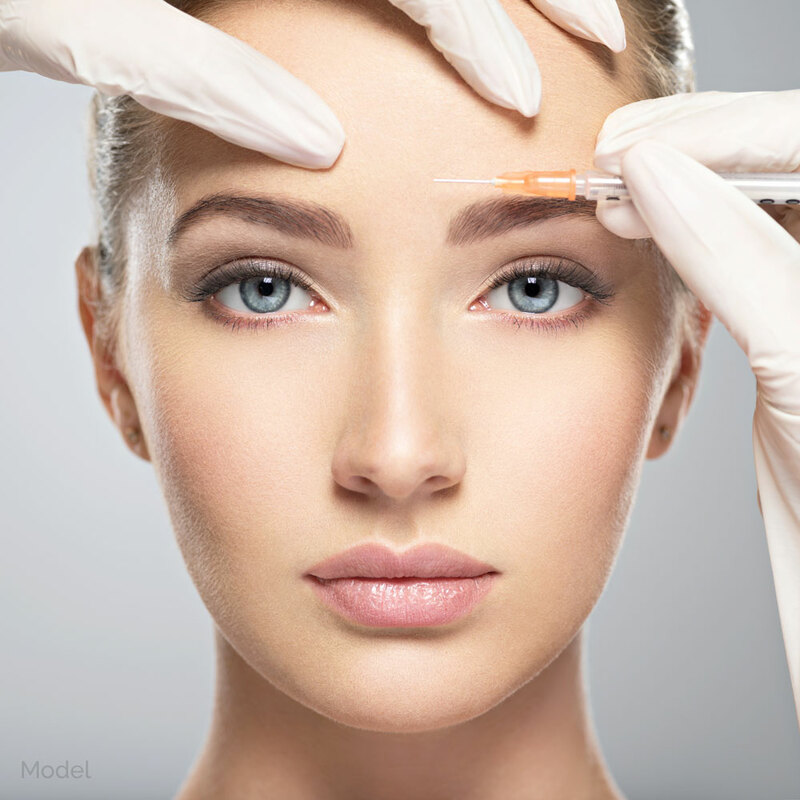 Have additional questions about the Neurotoxin (Injectables) procedure? Schedule a Consultation with Dr. Knowling for further information.